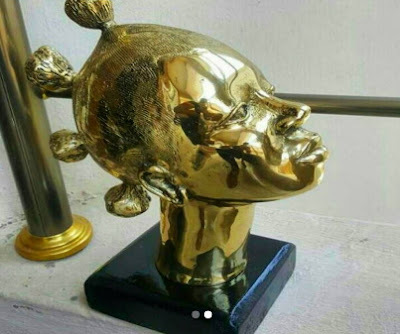 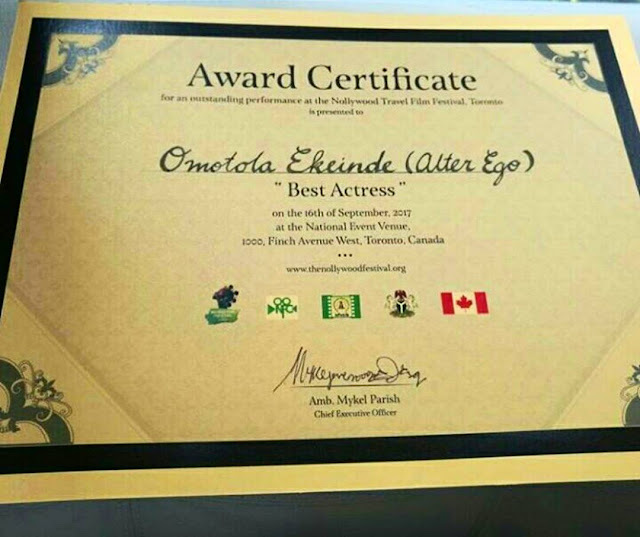 Nollywood actress Omotola Jalade Ekeinde has been honoured for her role in Alter Ego. 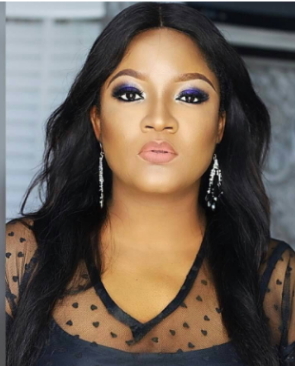 Alter Ego, a movie produced by Esther Eiyibo and directed by Moses Inwang is Omotola’s comeback movie after a 3-year hiatus. 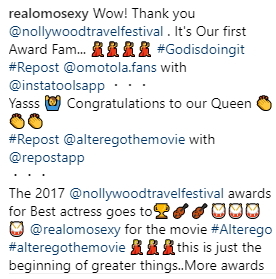 She took to the social today to announce the good news to fans.